The Rashtriya Chemicals and Fertilizers Ltd (RCFL), a PSE under Govt. 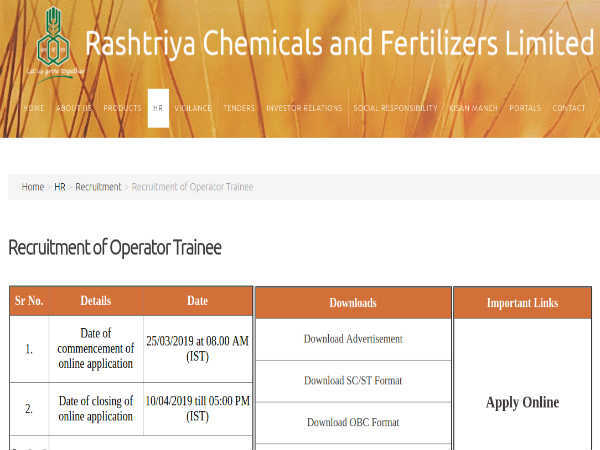 of India, has invited online applications from eligible Indian citizens for filling 50 vacancies to the post of Operator Trainee through direct recruitment to be posted at RFCL's manufacturing unit in Thal - Dist. Raigad, Maharashtra. The application process towards the same starts from March 25, 2019 and closes on April 10, 2019 by 5:00 pm. Salary Scale Rs. 22,000 to Rs. 60,000 per month. 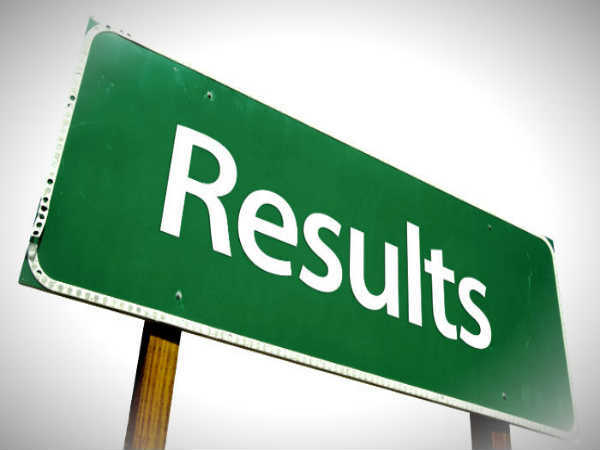 Candidates interested in applying for the post of Operator Trainee through RCFL Recruitment 2019 must not have exceeded 27 years of age (Gen) as on February 01, 2019, with relaxation (upper age limit) up to 30 years for OBC (NCL) categories and 32 years for SC/ST candidates as detailed in the notification. Candidates must pay a prescribed amount of Rs. 500 (Gen/OBC) as application fee through online mode (net-banking/credit/debit etc. payment gateways). SC/ST/PWD candidates are exempted from paying application fee as detailed in the advertisement. Desirous candidates applying for the post of Operator Trainee through RCFL Recruitment 2019 must possess a B.Sc. (Chemistry) Degree with Physics as one of the subjects and NCVT in AO (CP) trade or Diploma in Chemical Engineering/Technology with minimum 55% marks. The selection of candidates as Operator Trainee through RCFL Recruitment 2019 will be done through a Written Test (Online Test/CBT), Trade Test and Pre-Employment Medical Test. Candidates selected as Operator Trainee will be paid an emolument in the scale of Rs. Rs. 22,000 to Rs. 60,000 per month. Candidates applying for the post of Operator Trainee through RCFL Recruitment 2019 must submit their applications on the official RCFL website at http://www.rcfltd.com/index.php/en/ through online mode only from March 25, 2019 onwards.